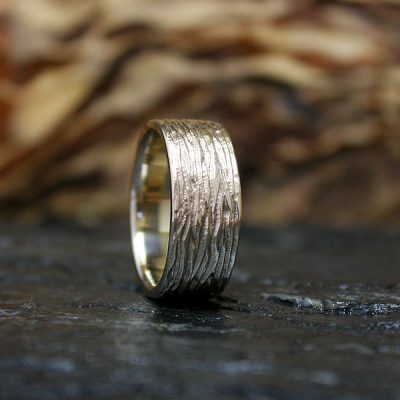 7mm wide band with a hammered texture. 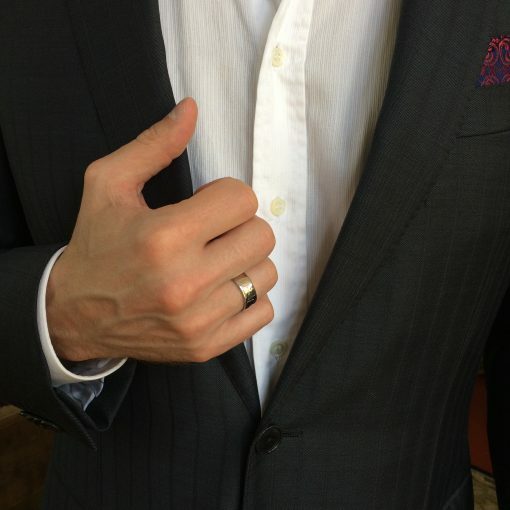 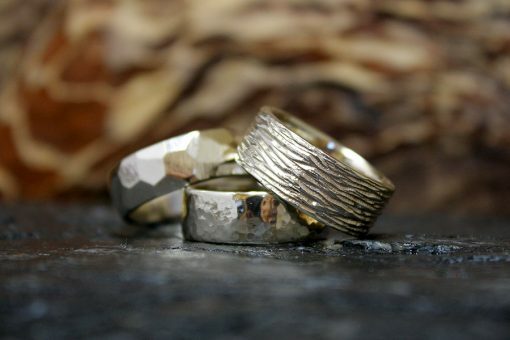 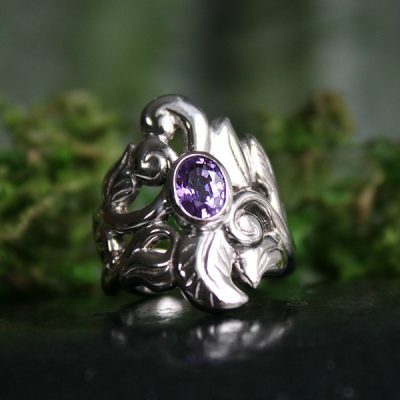 I individually carve each wedding band and cast in 14k white gold. 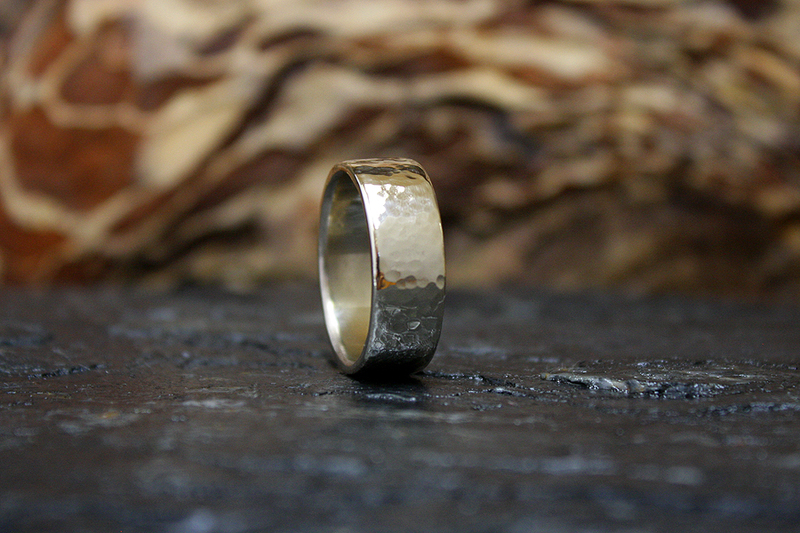 Named for the dappled texture on the ring, Below the Falls is carved to a 7mm width, 1.5mm thickness, flat, with a comfort fit. 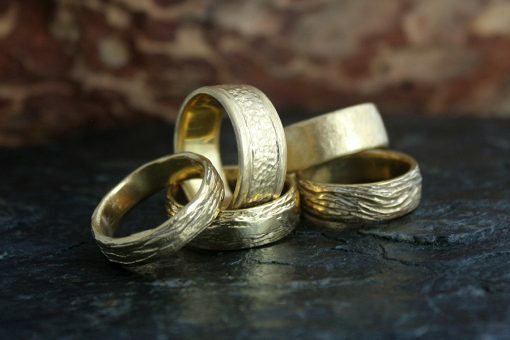 My rings have a lovely weight to them!